Made from the familiar jalapeno pepper. 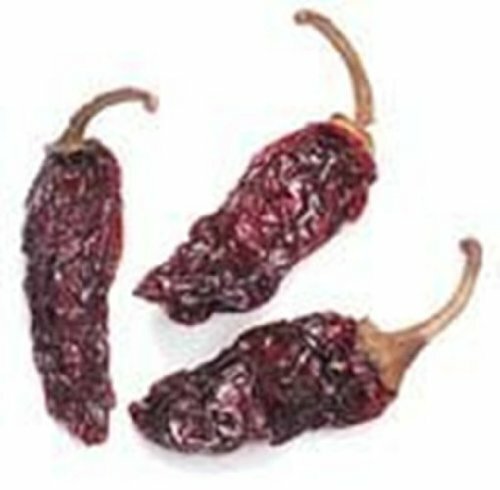 Fully ripened and smoked during the drying process to bring a unique medium-hot (6.5 on a scale of 1-10) smoky flavor to your dishes. Use in enchilada sauces, chili, stews barbecue ribs and cornbread as well as poultry, meats and winter squash. Approx. 2-4 quot; long, 1 quot; wide.Scoville rating is 2,500-5,000.